The latest iteration of Dell’s popular XPS 13 laptop is full of small but useful improvements, helping it to stand out in a crowded field, writes PAT PILCHER. Dell has built up a devoted following with its XPS 13. This is largely due to its solid battery life, crisp display and slim, lightweight design. Now it’s back, this time with Intel’s latest CPU under its hood. There’s no doubt about it, its slim alloy chassis is pleasing on the eye. Things get better when opening it up, too. This is partly to do with its screen, which features a minimalist bezel. While not quite an edge-to-edge display, the lack of an obvious and distracting edge is a clever touch that adds to its compact look and feel. From the outside, the XPS 13 looks like a generic ultra-book when closed. Opening it reveals a soft touch carbon fibre deck with scrabble tile-style keys and a generous mouse pad. This gives it a distinct whiff of quality. It also weighs in at a portable 1.2kg, which when combined with its ultra-petite size makes it a great travel companion. 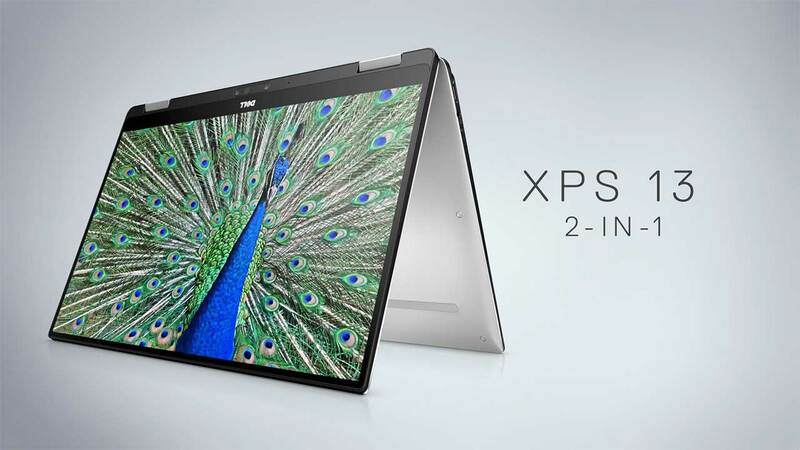 The XPS 13’s alloy body also lends it a durable feel. Its display opens with little-to-no flexing. It feels built to last. Unlike a lot of ultra-books, the connectivity options on the XPS 13 aren’t terrible. There’s two USB ports and a Thunderbolt 3/USB 3.1 Type-C port. This handily allows for connection to a Thunderbolt hub and the easy addition of extra displays. While it also uses a proprietary charger, its Type-C USB port can also handily double as a charging port. With airlines offering in-seat USB charging, this could be a real boon for travellers. One of the nicer facets of Windows 10 is its inking feature, which makes annotating and signing documents effortless. To take advantage, this Dell offers an optional Active stylus. With 2,048 levels of sensitivity and built-in palm rejection, there is a lot to like. Dell have also included a micro-SD card slot which makes adding additional storage and transferring files onto smartphones just that much less painful. While 3.5mm audio jacks are provided, there’s no Ethernet network port or HDMI connectivity. This isn’t a deal breaker though, as the XPS 13 comes with 802.11ac Wi-Fi plus Bluetooth 4.0, and then there’s the thunderbolt port which can do Ethernet duties with the right adaptor. The keyboard is also a pleasant surprise. In many smaller notebook PCs, keyboards are an obvious point of compromise. Because of this, ultra-books often feature tiny, cramped keyboards with little in the way of key travel. Not so with the XPS 13. Its keyboard has plenty of space between keys, which makes for a pleasant typing experience. The keyboard is also backlit (albeit with only two brightness levels). Another standout on the XPS 13 is its touchpad. It may only be four inches wide, but it is accurate. Unlike the touchpad on many other PCs, accidental input never sent my cursor flying off towards to a random part of the screen, creating digital carnage in the process. Here’s hoping other PC makers can learn a thing or two from this. 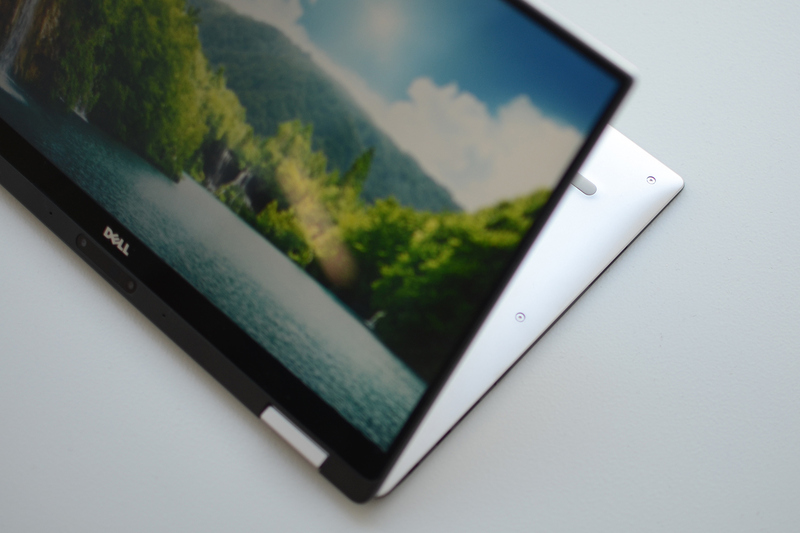 While the XPS13’s 1080p display impressed, its audio was thin and weak. Its tiny speakers might not sound terrible, but they’re not loud, lacking anything like mid-range or bass. This is to be expected in an ultra-book, where every spare mm of space is already used for something. In this situation, tuned cavities and bass drivers are an unnecessary extravagance. If music playback or gaming is your thing, a good set of headphones is essential. Passwords are a necessary evil and are about as fun as a DIY cranial lobotomy. If you need to get to your PC fast, they’re also a pain in the you-know-what. Dell must’ve felt the combined pain of billions of PC users as they’ve added a fingerprint reader. Getting setup took just over a two minutes, and afterwards, logging in was as easy as placing my finger on its fingerprint sensor. Packing the latest silicon from Intel may lead many to expect significant performance gains, and while there is a modest speed improvement, the real focus is on battery life. That said, the XPS 13 is no performance slouch, either. Be it Photoshop or HD media playback (and to a lesser degree) basic gaming, it performed fine. About the only real performance bottle neck is the Intel integrated graphics. While fine for most chores, gaming is best kept to less demanding titles (game graphics settings for more demanding titles will need to be dialled down). Although the XPS 13 doesn’t have a cooling fan, it ran cool. This lack of a cooling fan means that bulk is greatly reduced and operation is to all intents and purposes a silent undertaking. Its 256GB PCIe SSD also delivers nippy read speeds of around 1,279 MB/s. This translated into quick boot up times and made retrieving data both quick and seamless. The XPS 13’s battery comes in at 60 watt-hours, which is pretty sizeable for a 13-inch ultra-book. Using it for basic productivity tasks (email, word processing) I typically got five-and-a-half hours before it demanded quality time with a wall socket. Using it to play video saw it last most of a day, which again makes the XP13 an ideal travel companion. 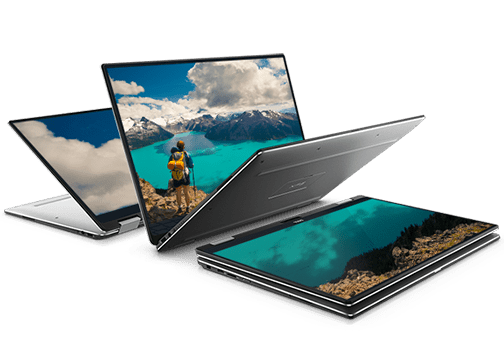 There’s a tonne of ultra-book hardware out there, but Dell have managed to achieve that oh-so difficult balancing act of combining portability, power and usability into a single device. If you are looking for a PC that’ll last the distance, but has enough grunt for most tasks, then the XPS 13 may just be what the doctor ordered.